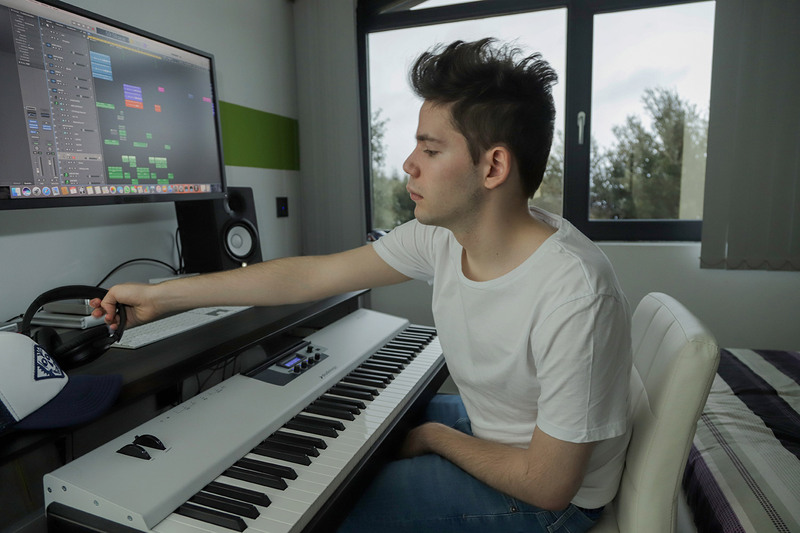 After the success of his debut single ‘Sleepaway’ back in the Spring, which picked up a host of club floor & station airwave support, Spanish artist Veluzz returned with his new single – Tomorrow. We caught up with Veluzz to speak to him about his new record, and learnt a bit about how music helped him overcome personal obstacles. Read our chat, below. Welcome to Find Your Sounds, Veluzz! How’s your summer going? First of I would like to thank the FYS team for this opportunity. Thank you very much. My summer well. With the music production in my studio and the rehabilitation of my foot which has been operated at the end of May. Each time I walk a little better. And with some trips to Ibiza to say hello and enjoy my admired Kygo. A very complete summer. Your latest record ‘Tomorrow’ is a strong follow up to ‘Sleepaway’ – what inspired the new single? Tomorrow, it’s a happy sound. It is the result of the gratitude to a fan, who made me a “veluzz” doll. And it surprised me. Someone gave me their time as a gift. The doll is the protagonist in the Official Videoclip of my single Tomorow. A fun experience. There’s also a club mix we’ve heard, were you involved in the production of that too? Yes. The Club versions are a good excuse to explore projects aimed more for the party. Where does the artistic name ‘Veluzz’ derive from? Life. That light that after being in a coma for 30 days, announces that you come back to life. And I do not intend to waste the second opportunity. From here I mourn all those who were trapped in that state. My doctors thought that I would not wake up since the head injury I had was very serious. But life, sometimes, pushes more than a medical diagnosis. What musical influences impacted you most growing up? In my house music is very important. If I had to choose a family influence, among many, without a doubt, I would choose The Police. The first song I learned on the piano was “Every breath you take”. How do you view the impact of streaming services for an up & coming artist such as yourself, as a positive or negative? What artist would your dream collaboration be with? This question is difficult for me. There are many singers with whom it would be a real pleasure to work with in my productions. For example, I hope to collaborate with Justin Jesso someday. And finally, what’s next release plan wise? My next production ‘Show You’ is published on September 11, dedicated to kygo, as a birthday gift. I told him a few days ago in Ibiza. The new project ‘Believe’ in which I am currently working I think it is the one with the most tropical vibes of all. I love it and I think it’s the best or maybe the most complete production I’ve done so far. I hope to have it finished before the end of 2018.